Golf is certainly a sport requiring physical skills. Mental toughness is important too. But sometimes we don’t realize that golf is also very much a spiritual game, with good players showing a sense of contentment. 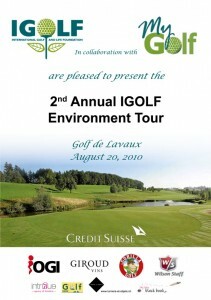 We are pleased to announce to the 2nd Annual IGOLF Environment Tour event which will once again be held at the beautiful IGOLF Laureate Lavaux Golf Course at the Lac de Bret in Puidoux. 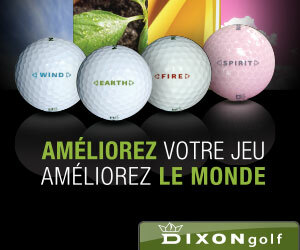 The Lavaux Golf Course can be proud of its approach to environmentally sound and sustainable golf course management. Following a successful first event, IGOLF in collaboration with MyGolf SA has put together what we hope will be an even more enjoyable day. There will be a Competiton, an Initiation and a cocktail. All the details can be found in the above e-booklet! Lots of gifts and prizes and the events will be followed by a cocktail. Please pass the information on to any friends you think might be interested – Thanks! A ‘gimme’ can best be defined as an agreement between two golfers… neither of whom can putt very well. In true British fashion, just the name, “The Open”, elucidates the exclusive and singular nature this Championship of Championships engenders. Normally, the Gorilla would be a little wary of the self-importance that “The Open” organizers put on their tournament – after all, golfing has become a worldwide sport since the Society of St Andrews Golfers starting making the rules back in 1754. That said, having played the Old Course last October, one is indeed awestruck and quite reverential about”The Auld Grey Toon”.